For me, one of the more difficult aspects of being a romance author is that when I’ve reached the end of the novel, I have to say goodbye to the characters I’ve come to love in order to embrace a new couple for my next book. Of course, since the majority of my recent books have been set in the same Texas town (Serendipity,) previous characters do occasionally make an appearance. But by necessity, I am no longer “in their heads.” I still think of them often and with great regard, but it’s like when a friend or family member moves far away. They are in my heart and mind but there isn’t that every day interaction. But every once in awhile I have the joy of revisiting characters when my publisher, Harlequin, reissues some of my back list titles. Most recently (and on the shelf now!) 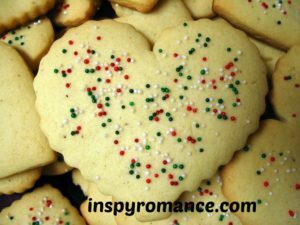 Love Inspired has put together a “2 for 1 Classics” edition of the very first two stories I wrote set in Serendipity. Little did I know then that the little town would become home to so many happily-ever-afters. 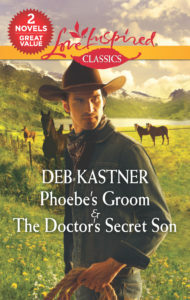 Today I thought I would give you a little excerpt from my first Serendipity novel, Phoebe’s Groom. Enjoy! STATUS UPDATE: PHOEBE YATES: Day 1 of my adventure into country living. First observation: Serendipity, Texas, is a small town. A VERY small town. JOSEPHINE HAWKINS MURPHY: Indeed it is, dear. Indeed it is. Maybe this was a bad idea, Phoebe Yates thought to herself as she pulled her luxury rental car in front of the rickety, clapboard-sided diner called Cup O’ Jo. Probably this was a mistake. She supposed she could turn around right now, head back to the airport in San Antonio and fly back to her hometown of New York City. No one yet knew she was here in Serendipity, Texas. She could just cry off and make up an excuse for why she hadn’t been able to make it. But she’d given her word to Josephine Hawkins Murphy, and since Phoebe was a Christian, her word meant everything. Besides, she was here because she’d wanted a break from her high-profile, culinary lifestyle. This six-week sabbatical from her close-to-insane schedule before she was due to start as head pastry chef at a new, upscale restaurant in Times Square was just what she needed. She just hadn’t realized Serendipity was going to be quite this small. One main street cut through the entire town, with only two stop signs located on opposite ends. Besides the cafe, there was a gas station, a hardware store, Sam’s Grocery, a barber shop with a candy cane-striped pole on the sign and a little white chapel with red doors and a steeple. To her credit, Jo had warned her as much from the start, but Phoebe really didn’t have anything to compare it with, having lived in a big city all her life. Exiting the car, she smoothed down her pure cotton, sky-blue dress, grimaced and sighed. Thanks to the long drive, the material was full of wrinkles. Oh, well. From the look of things, she was probably overdressed, even for a job interview, which was, more or less, what she was here for. Yet another challenge with the town of Serendipity—it didn’t even have a hotel. Otherwise, she would have checked in first and freshened up before stopping by the cafe. Jo had assured her she’d have a place to stay, though the details were vague. Not for the first time, Phoebe felt a wave of uneasiness steal over her. This was way, way out of her comfort zone. She’d prayed about this, she reminded herself firmly. Onward and forward. She wasn’t a coward. Phoebe only had a moment for a quick assessment of the cafe itself, but it was clear that while the outside of the diner was rustic, the inside had clearly been remodeled with a contemporary coffee-shop feel. Even with Jo’s warm welcome, Phoebe was aware she’d been put on the spot. It felt as if everyone in the room had frozen in place, some with forks halfway to their mouths, some staring over the rims of the computer monitors that outlined the back wall. And when conversation once again resumed, it was like listening to the drone of a hive of bees. She had no doubt they were speaking about her. The thought didn’t make her as uncomfortable as it could have. She was used to people talking about her. She couldn’t be successful in her career for long without positive publicity, not to mention criticism. She wondered which was relevant now. Maybe both. Exclaiming in delight, Jo wrapped her arms around Phoebe, hugging her as if they’d known each other for a lifetime and not only just met. Phoebe didn’t know what to do with that. She wasn’t used to such adamant affection, especially publi-cally so, and she found herself intensely uncomfortable with the inexplicable familiarity Jo showed her. They hadn’t even been formally introduced, though they’d corresponded online, which had resulted in her being here in the first place. Phoebe was Jo’s deceased husband’s cousin several times removed. At least that’s what Jo had said when she’d made her friend request. It was an unusual experience for her to feel welcomed— really welcomed—anywhere, especially with the ease, grace, and naturally friendly demeanor Jo obviously possessed. Happily, thought Phoebe, Jo didn’t mention her high-profile status. She had the feeling it was going to be tough enough to make friends in this close-knit community without adding that fact into the mix. Some patrons were openly staring at her, while others merely smiled politely and turned back to their meals, drinks or computer screens. Once again, she felt that the rising hum of voices had something to do with her arrival in town, but she brushed any awkwardness aside. From what she’d seen thus far, she doubted Serendipity had many strangers passing through, so it made sense that she’d be a novelty for them. Besides, she’d been in the spotlight before, and most of the smiles were curious and friendly. What did she have to worry about? She was, she decided firmly, going to like it here. Cup O’ Jo Cafe was out in the middle of nowhere, which was just what she needed. And if the glass-cased pastry shelves at the front counter were anything to go by, they needed her as well. Currently they housed a number of old knickknacks, rather than anything edible. That was something Phoebe definitely could fix for them. Her excitement died the moment she walked through the double doors and met the cool, black-eyed gaze of the man at the grill. He held a spatula in one hand almost like a weapon, and his frown and the furrowing of his brow deepened with every step Phoebe took in his direction. He was tall and broad-shouldered and his jet-black hair spilled over his forehead and curled at his neck. His face was chiseled and sharply planed, giving him a rugged look. He wore a denim shirt, faded blue jeans, scuffed black cowboy boots that looked like they’d seen better days and a stained white apron tied around a lean waist. He had loosely tied a black bandana around his neck, giving him the appearance of an old-time bank robber, and Phoebe thought it might somehow match his personality, or what she could tell of it. He might be extremely attractive were it not for the scowl on his face, but his shadowy frown ruined everything. His scowl deepened, if that were possible, and his black eyes sparked with displeasure. Phoebe recognized the man’s type immediately. After all, she’d worked with enough of them over the years. A man who’d never learned to share his toys, much less his kitchen. And it was apparent, from the shocked, astounded expression he flashed Jo that she’d neglected to mention the fact that Phoebe would be here at all. At least his features evened out when he looked at his aunt. Definitely not friendly, but not as openly hostile as that first, undefined moment when he had been caught off guard. As Phoebe had first suspected, he was a handsome man, in a rugged sort of way. No offense? Chance Hawkins had offense written all over him with a figurative pen. What had she gotten herself into? She’d come here to get away from drama, not step right into the middle of it. What’s not to love about 2 for 1? Thanks for sharing the excerpt, Deb…I enjoyed it. Thanks, Jill. A new book on the shelf is always exciting, even if it’s an old book! I feel that way both as an author and as a reader. I’ve got a hefty Keeper shelf…er…shelves. Fun connecting with old friends whether in our life or in a good book. That is why it is fun to have a series. I think it is more difficult to do in a romance than in a cozy mystery, where the sleuth can continue from story to story. I love reading cozies with super-sleuths that carry a number of books. Was a big fan of Murder, She Wrote back in the day. I enjoyed the except! Thanks for writing !! I totally get it. I feel the same way as you do except it is from a readers view. I get so involved with the characters that I feel like I know them! And when I finish the story I am happy at how the story turned out, and yet sad because it had to end!! I sometimes walk around in a daze for days after finishing a great book. Grateful for my Keeper shelf, so I can go back and read my favorites again. I will be downloading this 2 for 1 right away! Thank you! I totally get the idea of being so involved with the characters and learning to let go. I imagine it must be even more difficult for writers. I was just reading a book that made me cry from page 1 onwards this weekend and I felt the characters were my friends and I had to do something to join the happy party in the end. Because there was a lot of crying and it was such a happy ending. 2 for 1 is such a great idea! I like to read books in a series because I like to “follow” the characters that I get invested in! !